How Do You Ensure A Flat Team Hierarchy Works ? Appoint A Leader. There is a clear trend sweeping across London and wider UK offices. The trend I have seen is one towards establishing high performing teams that function without the obvious hallmarks of a traditional hierarchy. I, for one, am sold on the idea that teams who have the freedom to think flexibly and communicate without fear of reprisal will become creative and ultimately effective, however, at times (often crucial ones ) they will still need direction in order to navigate the uncertainty that develops during complex and demanding situations. That direction needs to come from somewhere and that somewhere is a leader. So, how do leaders influence the situation in order to get the balance right between being the leader and managing / being part of a flat team. 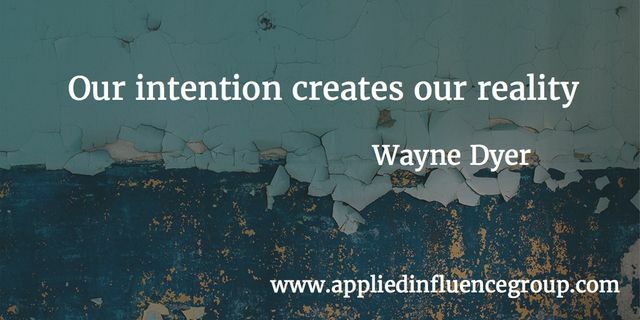 At Applied Influence Group, we provide direction to our elite influence practitioners on the impact the feeling of uncertainty has on humans. In short, the impact is profound, so profound in fact, that human beings will often live in unfavourable conditions over conditions that are uncertain. Uncertainty from a team dynamics perspective can also stop team members taking the necessary risks required to find the desired solution or put simply, develop. If its impact is that stark then we as leaders need to take steps to avoid it. So, if this sounds like a leadership challenge that you are facing then the following two steps may help you in creating the right environment for your flat team to flourish. As a leadership instructor, I can’t emphasise enough the importance of formulating an intent for your team to follow. I firmly believe that intent over direction is the central difference between a team having the confidence to take a risk, over one that is so worried about doing something wrong that they stagnate in the safe lane. Providing intent will also do a wonderful thing for you as the leader. It will start to take the pressure off you by addressing one of the major hurdles I see when coaching future leaders; the fear that the task “won’t be done to “my” expectations”. ‘Me theory’ (the bias we apply to situations by assessing them from the position of, “well I would / wouldn’t have done it that way”) can cripple leaders into feeling that they need to micromanage and sometimes carry out the task themselves. This temptation is often a result of poor or overly prescriptive levels of direction by the leader from the offset. Formulating an intent will provide your team with a degree of flexibility to work around the problem that they face. In addition, if you are the leader and you trust the intent you have created it will help you to rationalise, from the start, that the output of your team could be different to what you would have done. Crucially, if the intent is solid the output of the team will be within the boundaries of the very intent you have created. Trust the intent and don’t be afraid to adjust the boundaries if required. I have mentioned in other articles how we as humans are influenced by society to respond to authority. At times, we look for and in certain circumstances need authority figures to provide us with focus. This need often surfaces in situations where we are uncertain of what lies ahead. In these situations, indecisiveness is the real enemy and can lead to catastrophic abject failure. I have seen teams who have flat structures or reluctant leaders struggle when uncertainty arises. They slow down, over-communicate, delay and ultimately become ineffective. What they need is a leader to remove the uncertainty and provide appropriate direction. I have been lucky to work in some extremely high preforming teams that have utilised a flat team structure. In those instances, the intent was always clear. The absence of the leader following the delivery of the intent wasn’t noticed, in fact, the absence of the leader solidified his or her position, as we could create solutions and make decisions to complex issues. A foundation of trust was established between the flat team and the appointed leader. It was working within these teams that proved to me that a flat structure needed a leader as on the odd occasion that the team couldn’t agree on a solution or find a way forward, the commander would notice, step in and make a decision. This was rare, but when it did happen there was unanimous acceptance of the decision because the uncertainty had been removed. By removing the uncertainty, the commander, who hadn’t been involved in the tactical decision-making process until that point, had solidified his or her position by understanding the team’s requirements and providing the crucial direction (in line with the intent) required. The flat team structure remained in tact, increased focus and arguably gained confidence in the leaders overall ability. They are only two steps to assist in creating the right environment for a flat team structure to work. There are clearly several other elements that need to be in place for a flat team hierarchy to work and the article below highlights some additional ones to think about. Emotions; The Future Currency Of Human Interaction.